Ravi Rajagopal, aged about 63 years, is a Chartered Accountant and has a 35 year career in major consumer goods businesses. He has held several positions at ITC from 1979 to 1995, where he was involved in Packaging, Tobacco Farming, Agri-Businesses, Financial Services and Tobacco Marketing. He was head of Finance and Commercial at Ranbaxy Laboratories from 1995 to 1996, after which he moved to Diageo pie, where he held several positions including Finance Director for India and South Asia, Chief Financial Officer for Venture Markets and International Region, Group Financial Controller, Manag ng Director for India and South Asia and Chief Financial Officer for Europe. From 2010 to 2015, he was Global Head for Mergers and Acquisitions at Diageo Plc. Where he held several positions including Finance Director for India and South Asia, Chief Financial Officer for Ventures Markets and International Region, Group Financial Controller, Managing Director for India and South Asia and Chief Financial Officer for Europe. From 2010 to 2015, He was Global Head for Mergers and Acquisitions at Diageo Plc. He currently serves as Chairman for JM Financial Services Singapore, as well as an Independent Director and Chairman of the Audit Committee for Vedanta Resources Plc. He is a Senior Advisor to Joseph Hage Aaronson, a London-based litigation and arbitration law firm and Advisor to Good Relations India, which advises UK businesses on market entry and positioning strategies in India. He is an Association Member of BUPA. 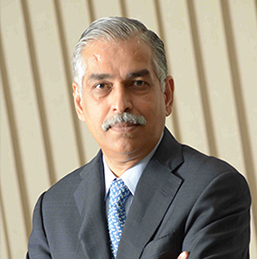 Earlier board experience includes serving as Non-Executive Director in United Spirits from 2013 to 2016, as well as forming and leading Diageo's India Advisory Board on India Strategy and Business Development between 2008 and 2015. He has a B.Com degree from Madras University, and also completed the Advanced Management Programme at Harvard Business School in 2001. He is currently a Board Member of Pratham UK, a charitable organization focused on child literacy and vocational skilling, and is Trustee in a school for under privileged children in Chennai, where 1,200 students up to the 12th grade are taught free of charge. He has helped build a paediatric cancer wing in Chennai for up to 70 patients at a cost of £500k and is currently a Trustee in overseeing the running of the wing. He has lectured at Oxford University and Imperial College on M&A, and is currently studying MA (History of Ideas). Mr. Shirish Moreshwar Apte was appointed to the board of IHH Healthcare Berhad in September 2014. He is currently also the Independent Non-Executive Chairman of Pierfront Mezzanine Fund Pte Ltd. He concurrently serves on several boards of directors including Commonwealth Bank of Australia, the Supervisory Board of Bank Handlowy, Poland and Fullerton India Credit Company Limited. Prior to his retirement from Citigroup in 2014 as Chairman of Asia Pacific Banking, Shirish had built up an impressively extensive 32-year career with Citibank/Citigroup. He held numerous positions with Citibank/ Citigroup serving in Singapore (2011-2013), Hong Kong (2009-2011), London (2003-2009), Poland (1997-2003) and London (1993-1997). He also supervised operations in the emerging markets covering Central and Eastern Europe, Middle East, Africa (“CEEMEA”) and Asia Pacific. He was appointed head of Citi’s Corporate and Investment bank in India, Chief-Executive Officer (“CEO”) for Citibank Poland, and regional CEO first for CEEMEA and then Asia Pacific. Mr. Shirish was also a member of Citigroup’s Executive and Operating committees from 2008-2012 and the Group’s Business Practices committee. 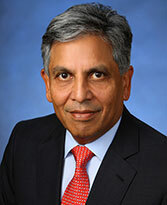 He began his career in the banking division of Citibank India in 1981. Mr. Shirish Moreshwar Apte holds a Bachelor of Commerce from Calcutta University and Master of Business Administration from London Business School majoring in finance. He is a Chartered Accountant from the Institute of Chartered Accountants of England & Wales. lndrajit Banerjee, aged about 62 years, is a Chartered Accountant and has a corporate career spanning over 35 years. Over the last 20 years he has played a key role in senior leadership positions, principally in Ranbaxy, Cairn India, Lupin and Indal, dealing with unique business criticalities which led to the organisations realising their potential values. He has a B. Com. (Hons) degree from St. Xavier's College, Kolkata. In his early career at Brooke Bond India Ltd and Indian Aluminium Co ltd (Indal), his focus was on establishing sound financial controls in complicated business environment which also facilitated businesses to improve their competitive position. Since then, he has played the role of CFO/Executive Director in companies that experienced difficult business situations of varying nature in complex shareholding situations. Between 1982 and 1999 he was at Indal, of which the final two years he was Chief Financial Officer, where he played a key role in the strategy formation and risk management in the company during the transformation stage. He joined Lupin ltd in 2002, where he addressed the critical liquidity challenges faced by the company and led the entry of a set of private equity investors that helped re-brand the company. In 2005, he joined Cairn India ltd, where he guided the financing of the country's largest greenfield upstream onshore oil and gas development project which was the first large project of its size and complexity in India. He was also President and CFO, and a Member of the Executive Committee, at Ranbaxy Laboratories Ltd between 2011 and 2015, where he helped the company sustain itself through its most challenging times and played a critical role in the process leading to the merger of the company with Sun Pharma, later leading the integration of businesses and processes of the merged entity post-merger. Since November 2015 he has engaged in certain specific management consultancy services, including business structuring and planning; management of growth situations; management of crisis situations through cash flow monitoring, prioritisation of operational requirements and bank relationship management; financing of working capital and establishment of Risk Management processes in multi-business and multi-regional organisations; business and financial process integration for existing organisations as well as for merging entities. Suvalaxmi Chakraborty, aged about 52 years, is a Chartered Accountant and has 28 years of experience in the field of financial services and banking. She has featured in the Fortune India List of 50 most powerful women in business. She held several positions at ICICI Ltd and ICICI Bank between 1989 and 2006, including General Manager for Corporate Banking and Head of Rural, Micro-banking and Agri Business. 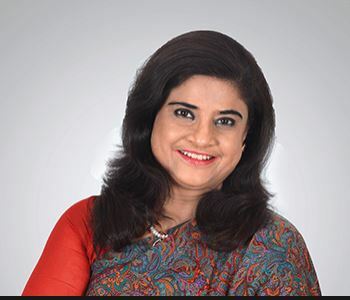 She was Director on the Board of Fixed Income Money Markets and Derivatives Association (FIMMDA) for over 2 years and headed the working committee (New Products) in FIMMDA (representing ICICI). She launched and ran the commercial banking business of Barclays Bank in India from 2007 to 2010, after which she was Chief-Executive Office for the Indian operations of State Bank of Mauritius from 2010 to 2013. In 2014, she was also Advisor for Transwarranty Finance Ltd and Positron Consulting Services, with advisory assignments spanning debt syndication, Mergers & Acquisitions and capital raising for midmarket corporates, among others. Currently she serves as an Independent Director for Magma HDI General Insurance Company Ltd, and Caspian Impact Investments Pvt Ltd. She is also serving on the board of RGVN (North East) Microfinance Ltd as a nominee director. She is Co-Founder and Director of Espandere Advisors Private Ltd, which is a Business Advisory and Transaction Advisory services provider in the Banking & Finance, Agriculture & Rural, Infrastructure and Manufacturing sectors. She is also Advisor for Fullerton India Credit Company Ltd, which is a 100% step down subsidiary of Temasek Holdings (Pte) Ltd, Singapore. She has a B. Com. (Hons) degree from Calcutta University and in 1999 completed the Financial Investment Technology Program of the Berkeley Program in Finance at HAAS School of Business at University of California, Berkeley, California. In 2002 she participated in the Leading Change and Organizational Renewal Program at the Graduate School of Business, Stanford University, California, and she has also participated in the 'Women on Corporate Boards' initiative initiated by FICCI Centre for Corporate Governance. Dr Ashutosh Raghuvanshi, is a cardiac surgeon turned management leader. After completing his MS in general surgery from MGIMS, Dr Ashutosh went on to do MCH in Cardiac surgery from the University of Bombay. Over the last 26 years, he has been associated with the Bombay Hospital, Apollo Hospitals, Vijaya Heart foundation and Manipal Heart Foundation. He is credited with the establishment of Rabindranath Tagore International Institute of Cardiac Sciences, Kolkata, where he joined as Director in 2000 and is today one of the largest Multispecialty Hospitals in Eastern India. Dr Tan See Leng was appointed the Managing Director and Chief-Executive Officer of IHH Healthcare Berhad ("IHH") in January 2014 after serving as an Executive Director on the IHH Board for two years. Dr Tan is also the Group CEO and Managing Director of Parkway Pantai Limited, a position he assumed in 2011. He also serves on the Boards of IHH subsidiaries, namely Parkway Pantai Limited, IMU Health Sdn Bhd and Acibadem Saglik Yatirimlari Holding A.S. (“ASYH”) Group and a Board Committee of ASYH. Prior to this, Dr Tan was the CEO of Parkway Holdings Limited from April 2010, a position he rose to fairly quickly after he joined Parkway in 2004 as Chief Operating Officer of Mount Elizabeth Hospital. As a young entrepreneur, Dr Tan founded a private primary healthcare group at the age of 27 and subsequently developed it into the second largest primary healthcare group in Singapore before successfully selling the company to one of the leading global health-plan providers. 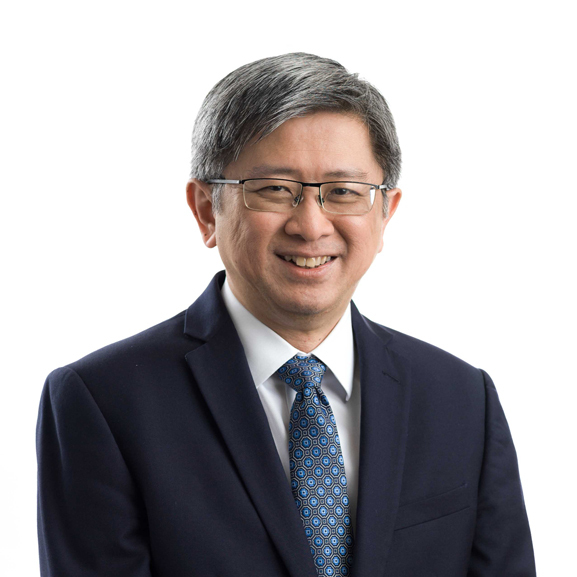 With over 27 years of healthcare experience, Dr Tan has served as an active member of various medical committees such as Singapore Ministry of Health's MediShield Life Review Committee. He has been reappointed Adjunct Assistant Professor of Duke-NUS Graduate Medical School Singapore, Office of Education, for the period until 2019. 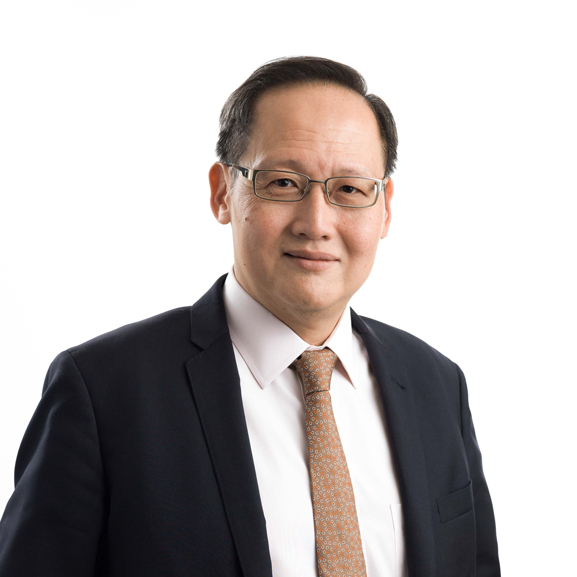 He also serves on the Advisory Board of Lee Kong Chian School of Business at Singapore Management University and on the Board of Parkway Trust Management Limited ("PTM"), an indirect wholly-owned subsidiary of IHH. PTM manages Parkway Life Real Estate Investment Trust which is listed on the Singapore Exchange Securities Trading Limited. Mr Low Soon Teck assumed the position of Group Chief Financial Officer of IHH Healthcare Berhad ("IHH") on 10 January 2016. He brings with him over 20 years of experience in finance, legal and general management in leadership roles. Prior to joining IHH, Mr Low served with the RCMA Group, a commodities supply chain management company, as its Chief Financial Officer between 2013 and 2015. From 1994 to 2013, he was employed in the Kuok/Kerry Group, holding various senior positions in diverse businesses within the group in Hong Kong and Singapore. His last position in the group was as Chief Financial Officer of PACC Offshore Services Holdings Group, the offshore marine arm of the Kuok/Kerry Group. Prior to this, Mr Low served as Group Treasurer at Wilmar International Limited, after its merger in 2006 with Kuok Oils and Grains where he had served as Group Financial Controller following his relocation from Hong Kong to Singapore in 2005. Whilst Mr Low was based in Hong Kong from 1994 to 2005, he held various positions within the Kerry Group including that of Director of China Operations at SCMP Group, publisher of the South China Morning Post. In this role, he was responsible for business development, newspaper publishing and circulation operations as well as managing a chain of retail convenience stores. 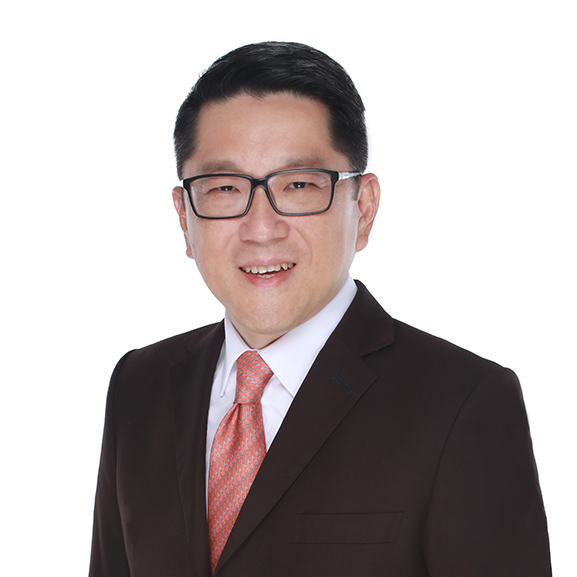 Mr Low began his career as a solicitor in Singapore at a boutique law firm from 1991 to 1993, focusing on corporate and banking laws. Dr Chan has more than 20 years’ experience as a healthcare executive working in several geographies including South East Asian countries and the Middle East. He has held senior executive positions in the healthcare service industry covering a span of roles which includes operation, corporate and investment portfolios. He has a track record in growing new businesses, developing strong teams and delivering results. He has a long association with IHH and its predecessor entity Parkway Healthcare from 2000-2010. Among the various positions he held, he was the Group Chief-Executive Officer of Pantai Holdings Berhad. Pantai is one of the largest Hospital Group in Malaysia with a chain of 12 hospitals from 2007- 2010. 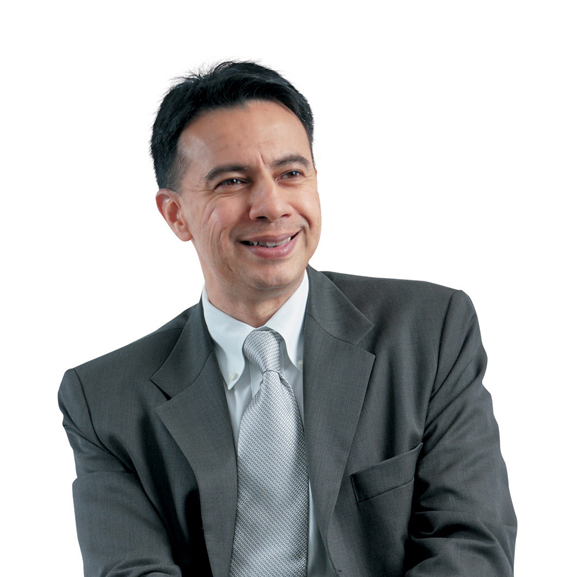 He returned to IHH in 2018 to lead the IHH Strategic Planning and Business Development (M & A ) and its CEO for South East Asia Operations. Prior to joining IHH in 2018, he was a senior advisor to TPG , a global private equity fund. From 2010- 2016, he was the Group President of Sasteria Pte Ltd, a privately held healthcare entity, which owns Thomson Medical Group based in Singapore and TMC Life Sciences based in Kuala Lumpur Malaysia. He concurrently serves as the Group CEO of Thomson as well as the Executive Director of TMC Life Sciences Limited. TMC Life Sciences own and operate a tertiary hospital in Kuala Lumpur and the largest network of fertility centres in Malaysia. Dr Chan also served as an Advisor to a sovereign wealth fund based in Abu Dhabi. He was also involved in Medtech related startups. Appointed to the Board of IHH Healthcare Berhad ("IHH") in 2016, Mr Chintamani Aniruddha Bhagat is currently the overseeing Executive Director for the Healthcare sector of the Investments Division of Khazanah Nasional Berhad ("Khazanah") and concurrently leads Khazanah's India operations. He also serves on certain Boards and Board Committees of IHH subsidiaries under Acibadem Saglik Yatirimlari Holding A.S. Group. Prior to joining Khazanah, Mr Bhagat spent 14 years at McKinsey & Company in Singapore, including six years as Managing Partner for the Singapore office. He was a leader in the healthcare practice, serving hospital systems across Asia; as well as a leader in the Principal Investor practice, serving several sovereign wealth funds, private equity firms, and family owned businesses. He also founded and led McKinsey's corporate governance service line. Preceding his time in McKinsey, Mr Bhagat held various positions at an engineering and construction firm in India, which culminated in his role as the Chief-Executive Officer for the firm. He is also a qualified architect. Ms. Lynette Joy Hepburn Brown has resigned from the Company with effect from April 11, 2017. Mr. Ravi Umesh Mehrotra has resigned from the Company with effect from April 12, 2017. Mr. Sunil Godhwani has vacated his office of director with effect from August 4, 2017.
from the Company with effect from February 8, 2018. Ms. Joji Sekhon Gill has resigned from the Company with effect from March 7, 2018. Unaudited Financial Results for the Quarter ended June 2015. Conference call Invite – Fortis healthcare Q2FY19.